It’s part of our mission: to share our knowledge and enthusiasm with our neighbors. You’re always welcome at our monthly meetings, and we often give presentations to local outdoors organizations. Plus, we urge you to come find us at the fair, or at our annual show. Every November, we contribute to Mushroom Mania at IslandWood on Bainbridge Island. 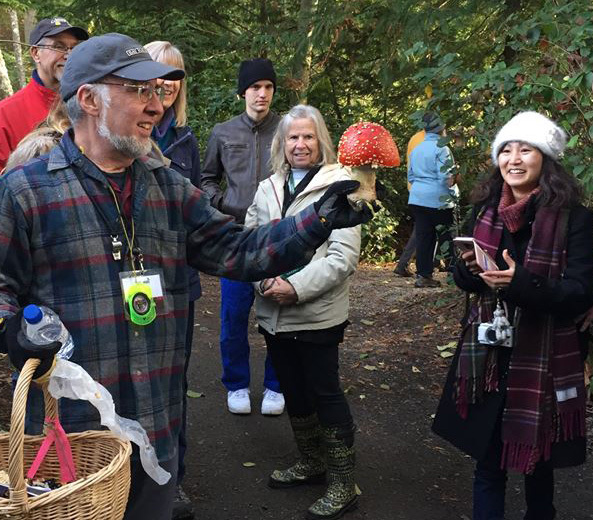 The event includes a weekday evening lecture on the natural history of fungi, and weekend mushroom identification forays along IslandWood trails. In recent years we’ve also addressed garden clubs around Kitsap County and participated in Earth Day cleanups. To inquire about a KPMS guest speaker, contact us here: President@KitsapMushrooms.org. Every August, you can find us at our prominent booth in the Presidents Hall of the Kitsap County Fairgrounds. 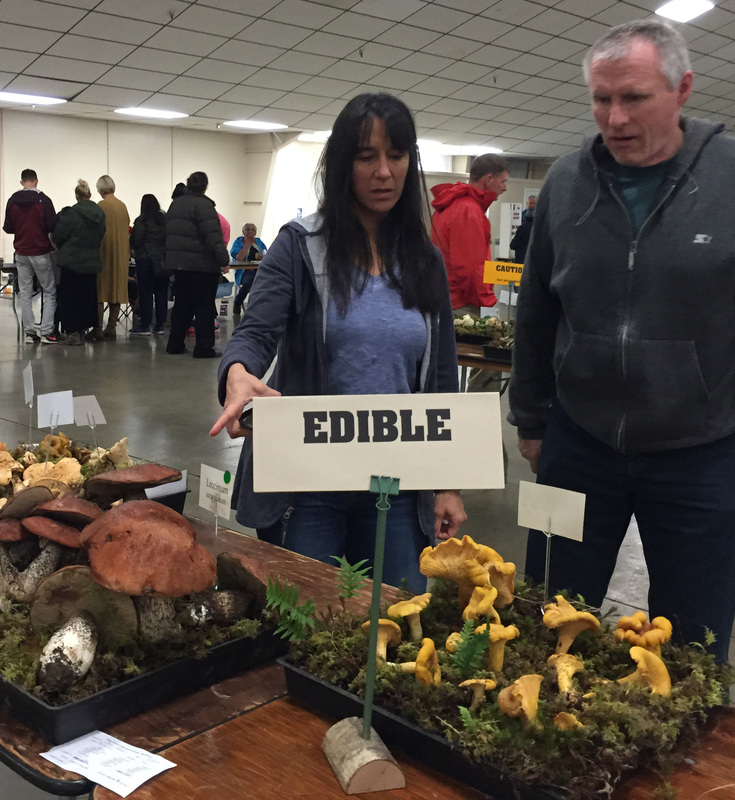 We love talking with Fair visitors about collecting, identifying and enjoying the fungal resource in the region. Bring your questions! Held in late October, currently at Olympic College in Bremerton, our Show puts all our efforts and enthusiasm on display. After a week of collecting around the region, our members assemble colorful displays of fresh Northwest wild mushrooms, from the tastiest to the deadliest. Alongside you can find build-your-own oyster mushroom kits, children’s activities, identification lectures, guidebooks for sale, and a photo gallery.